We know our wine…law, that is. As counsel to more than 250 wineries and vineyards, Stoel Rives is a trusted advisor and advocate for the industry. 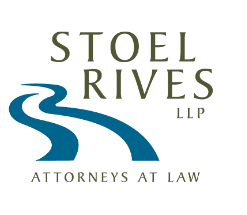 The Stoel Rives Winery & Vineyard Law practice group has advised West Coast wineries and vineyards for 30 years through all phases of their business cycle. From start-ups to mergers and acquisitions, we counsel clients on issues facing their business. At Stoel Rives, we help each client turn their vision into a reality. Our lawyers keep in step with the complexities and trends of the wine industry and focus their attention on the issues that matter. Our broad experience allows us to advise clients on a wide range of legal matters affecting the industry, including state and TTB permitting, trademark registration, employment policies and procedures, water rights, land use and ADA compliance. Whether you are producing 600 or 600,000 cases of wine, our attorneys provide solutions to the challenges wineries face as they develop strategies and deliver their products. For further information regarding the services offered by Stoel Rives, please contact Susan Johnson at 206-386-7684 or Stephanie Meier at 206-386-7546.